It’s a warm day in Florida, but there is a bit of a breeze, the tall grass sways and the sound of the trees rustle around. It reminds me of lazy summer days spent at my Grandparents “farm” when I was little, just sitting outside with a mason jar of water and feeling the sun on my face. When they said they wanted a rustic location to do the session at, and sent me a photo of this place, I knew it was the most perfect spot ever and I wanted to shoot there so bad!!! So here we are, and it is perfect! I learned that Stephanie and Cody are high school sweethearts, have a love for their dogs, they go hog hunting in their spare time, and they even work together! These two compliment one another in every way, and they were such a blast to work with, I hardly had to say a word! 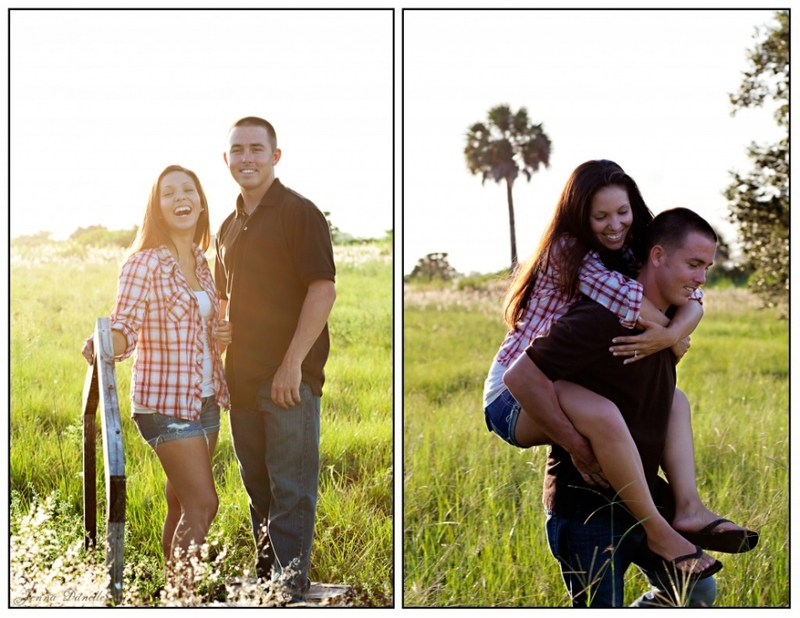 I simply can’t wait to shoot their wedding in a few weeks! And even by the end of the session Cody laughed and said how much fun he had! 😀 Yay! I just love my couples! This is week 30 of my 52 Project.